Hear from our high-speed balancing expert, Keith Collins, in this article in Power Magazine’s November issue. High-speed turbine rotor balancing was once rare because of the costs and logistical challenges involved in doing it during an outage. That’s begun to change as economic options emerge, and experience is showing that high-speed balancing can pay big dividends in reliability and maintenance costs. Read Power magazine’s article online here. See the October Power Magazine Print Article here. 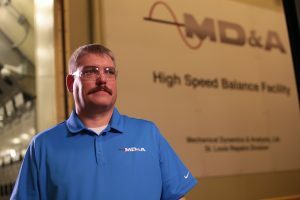 Have MD&A high-speed balance your rotor today, call Keith Collins at our Turbine-Generator Repair Facility at (314) 880-3000. Find out more about our High-Speed Balance Facility. Or Take a Tour of our new High Speed Balance facility!